Bannon as he appeared in Ripper Street, and Alfred as we know and love him in the comics. Remember that fever dream where the producers of Gotham announced they were making a TV show for Epix about Batman’s butler, but not Gotham’s bonkers child-hitting version of him? Well, turns out that was certainly feverish but not a dream: because the show just found its Alfred. Epix has confirmed that British actor Jack Bannon—a relative newcomer best known for roles in Endeavour and Ripper Street—will play the title role in its 10-part series Pennyworth. As you can see from the image of Bannon above, this is going to be a much, much younger Alfred than you typically see in a Bat-verse situation, because this show is actually set in ‘60s London, and will follow young Alfred as he leaves the SAS to form a private security company and work with Thomas Wayne—hilariously described in provided press material as “who’s not yet Bruce’s father,” because Thomas Wayne literally exists only to a) be Batman’s dad and b), get murdered. We still don’t know much else about the series, other than the fact it will see Alfred try and reconcile his violent past in the British Army with the charming, happy young man he was before military service. Seems like a private security company is the exact sort of place you wouldn’t go with to figure that out, but hey, we know he’s gonna become a butler by the end of this bizarre exploration of Alfred’s backstory anyway, so maybe young Pennyworth will learn that for himself soon enough. Pennyworth goes into production at Warner Bros.’ Leavesden Studios in the UK next week, ahead of a debut on Epix in 2019. Epix has now also confirmed that it has also cast Ben Aldridge, best known for the BBC war drama Our Girl, as the young Thomas Wayne opposite Bannon’s Alfred. 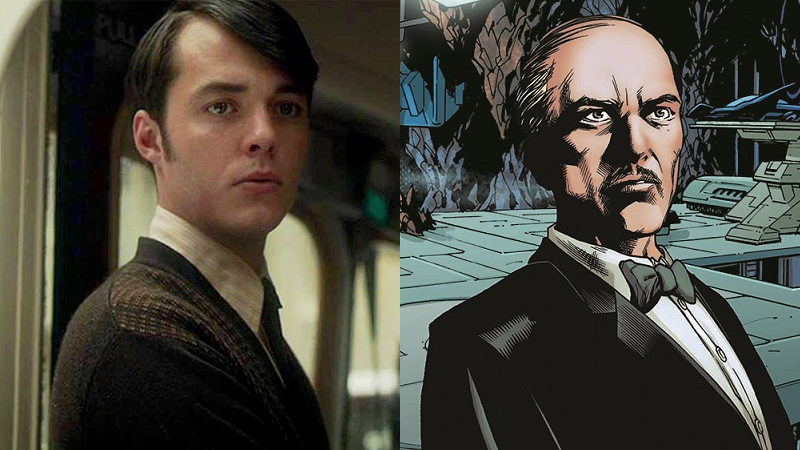 He’s described as a “young aristocrat” from the East Coast who finds an “unlikely business partner” in the equally young Pennyworth.